With the wealth of information available today, buyers’ journeys have become more difficult for sellers to predict. Buyers now accomplish 57% of their purchasing process before contacting a seller. For this reason, it’s more important than ever for modern sellers to quickly capture a buyers’ attention by creating standout sales pitches. How? Sellers need resources, tools, and training that enable them to quickly pitch valuable content at the right time through the right channels. Sales enablement is what separates modern sellers from the rest. Here are six ways that sales enablement improves every seller’s sales pitch. Modern buyers are all about speed and value. After all, 74% of buyers choose to work with sellers who are the first to share valuable information. With sales enablement, sellers can address buyers precisely according to where they’re at in their purchasing journeys. Sales enablement makes this happen by providing sellers with the right content at the right time, putting content and personalized pitches within easy reach of sales reps. The best sellers stay ahead of buyers’ needs and provide answers before they even ask. They do this by leveraging data-driven insights. Sellers with this kind of intel inspire customer loyalty. According to CEB (Corporate Executive Board), 53% of customer loyalty is driven by sellers offering unique, valuable perspectives. Sales enablement provides sellers with detailed buyer personas and behavioral data that allows sellers to anticipate the needs of the buyer. In this modern, fast-paced sales market, this insight is a necessity, especially when pitching. Customers do not want to hear answers they already know to questions they don’t have. They’ve already done the research — so make sure your sellers have, as well. Asking the right questions can help sellers in every stage of a sale. A good pitch requires sellers to listen to the buyer and ask questions that will encourage them to progress along their purchasing journey in a natural manner. Sellers may ask leading questions to highlight a certain aspect of their product or solution. For example, if a seller knows that a buyer spent a significant amount of time reading about a particular product feature, they can ask questions that are tailored to the buyer’s specific interest. Sales content can easily get lost without a sales enablement solution to keep it organized and searchable in a meaningful way for reps. That’s why 40% of a sales rep’s time is so often spent finding or creating content. Sales enablement cuts down on this wasted time by providing sellers with easily accessible sales content. With sales enablement, sellers will no longer have to dig through files and folders to find content. Sales enablement makes it easy to find, customize, and share content through sales pitches. This gives the seller more time to focus on what they do best: sell. Sales enablement also provides metrics that reveal the effectiveness of content and pitches. This can be incredibly helpful to find out what works and what does not. Sales enablement allows reps to see if buyers find content engaging — in real-time — so a seller knows when and how best to follow up with the prospect. The initial pitch can be the hardest part of selling, especially in unfamiliar selling scenarios. Sometimes, getting a buyer to engage is just plain difficult, but exponentially more difficult when the seller is unprepared or unequipped for the scenario at hand. Sellers need access to real-time, relevant training material and guidance in order to successfully engage today’s buyers. Traditional sales training has become less and less effective; recent research has shown that 87% of new skills get lost within a month of sales training. Sellers want coaching that applies to their specific sales scenarios — not just general selling tips. They want to know how to make their actual pitches matter. Hands-on training becomes possible with sales enablement. Coaches or trainers can evaluate how their sellers engage buyers and analyze their effectiveness. Additionally, if something works regularly for multiple high-performing reps, trainers can expand to use it as a standard practice across the rest of the team. The goal of selling is to move beyond the pitch. A successful pitch does more than catches a buyer’s attention; ideally, it marks the start of a meaningful relationship between the buyer, seller, and company. Sales enablement provides the tools that reps need to make a good first impression and then build on their sales pitches’ success. As buyers progress through their purchasing journeys, sellers can continue to rely on sales enablement to provide them with what they need to win a sale. Sales enablement doesn’t stop at the pitch; rather, it continues to support sellers with the right content, guidance, training, and analytics they need at any stage. 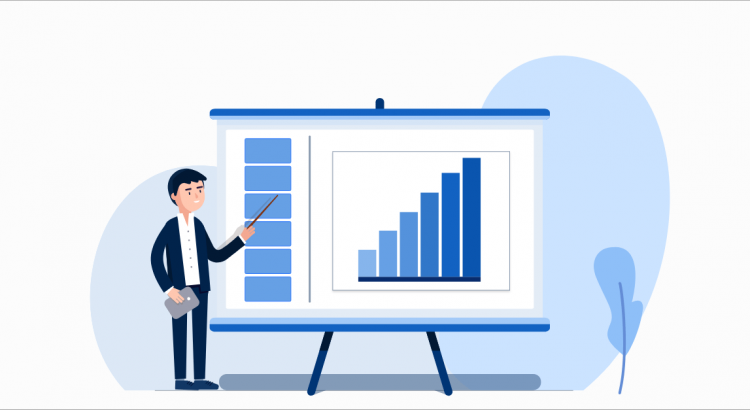 From initial pitch to close, and beyond, sellers armed with sales enablement will find themselves well-prepared to present pitches that transform buyers into lifelong customers. Shawnna Sumaoang is the Director of Marketing for Highspot.com, the industry's most advanced sales enablement platform, helping organizations close the loop across marketing, sales, and the customer.